Ahhhh, March! I love March because I can almost feel spring. I love the promises that March brings. I love March because it is followed by April and even though sometimes March can be cold and windy it brings with it spring and all the wonderment of flowers and warm days. It is impossible not to smile on that first bright sunny day that teases the tree buds. Just knowing that the sun will be out and about brings a lift to my heart and makes me want to listen to the call of the hydrangeas. And the peonies. And the tulips and the wisteria. And, really, all of the beautiful blooming bushes and flowers. I know I have the geranium/hydrangea sickness when the plant magazines come in the mail and I leaf through them multiple times. I spend time making lists of what all I want and then I look at the prices and I have to re-list and re-think my spaces. BUT if I could just have one or two of everything that is shown in the magazines I would be in heaven. Hydrangea heaven comes with a couple of gardeners of course! I would help them on the warmest of days. BUT then I look at the price of two or three gardeners and I have to work on my list once again. I go out on the porch and look longingly at my open space and plan and dream. How, I am asking myself, can I turn that empty space into the same kind of space that I find on the printed page without the two gardeners? Hmmmm… teenagers??? Perhaps. Probably NOT. Maybe this year I will focus on the cute pots that are in every garden center. I could fill them with geraniums and petunias and verbena and all kinds of ornamental grasses. But I really have my heart set on an entire row of blooming hydrangeas. Right in front of a cute little white fence – just like in the magazine. 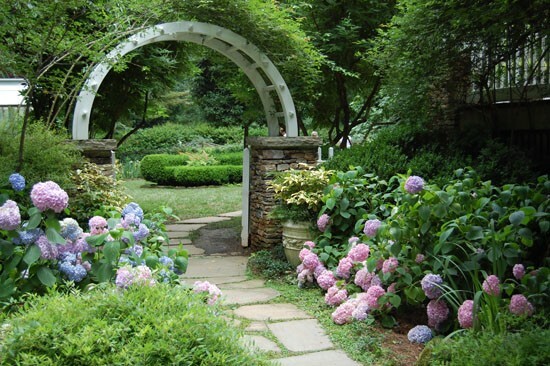 AND I believe that a cute little backyard cottage probably comes with the call of the hydrangeas. Yes. I am certain that I will need an out building to pot things in and stir dirt and daydream in a white wicker chair. 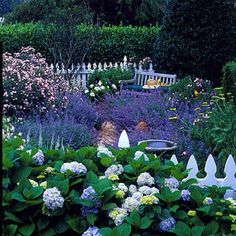 But, let’s see, two gardeners plus one or two carpenters and enough hydrangeas to have a full hedge, plus all of the plants to put in the pots. AND I must, simply must have more peonies and another wisteria. Tick, tick, tick goes my calculator as I add in the compost and the clematis vines. Uggghhh. The call of the hydrangeas is EXPENSIVE! There is no help for it. The teens will have to help with the digging and the hauling. The older ones did it when I had the call of the green beans and the black-eyed peas, back when I grew enough veggies to feed our herd of growing children. Oh, yes, those older kids worked in the gardens with absolute TEEN attitudes. I know that I lost a row of okra one year because of teen attitudes. And I am certain that they wreaked havoc on the black-eye peas one summer and pretended that it was the dog who dug them up. I plan to present my 2016 garden plan to my family tonight. I know they are not as excited as I am but then again we all have to make sacrifices. I believe they hear the call of technology rather than the call of the hydrangea. 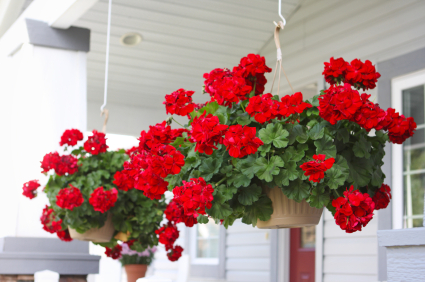 How else could they possibly stay indoors on beautiful afternoons when the breeze brings the aroma of the flowers to our doorstep? And their call works in perfect parallel to my call. Here is the plan. 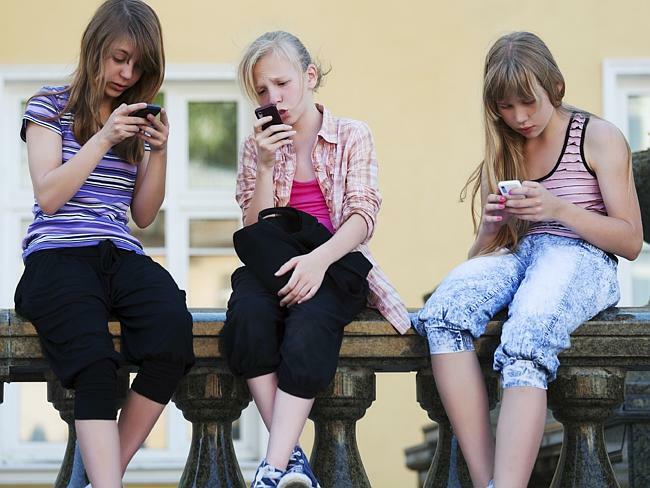 Every hour worked in the gardens earns a teen or pre-teen fifteen minutes on a technological device. One to four is a good ratio I believe. So that means for every hour on a device with a screen I get four hours help in the garden. This entry was posted in Posts, Stories / Articles and tagged Gardening, Hydrangeas, Mother, Nature, teenagers, teens and phones, teens in the garden. Bookmark the permalink. Ah, must be spring. I was soaking my mom’s bluebonnet beds today so I could weed them. Beautiful time! Love reading your stories. It reminds me of the simpler times, good and fun, when I was growing up in the West Texas dirt.